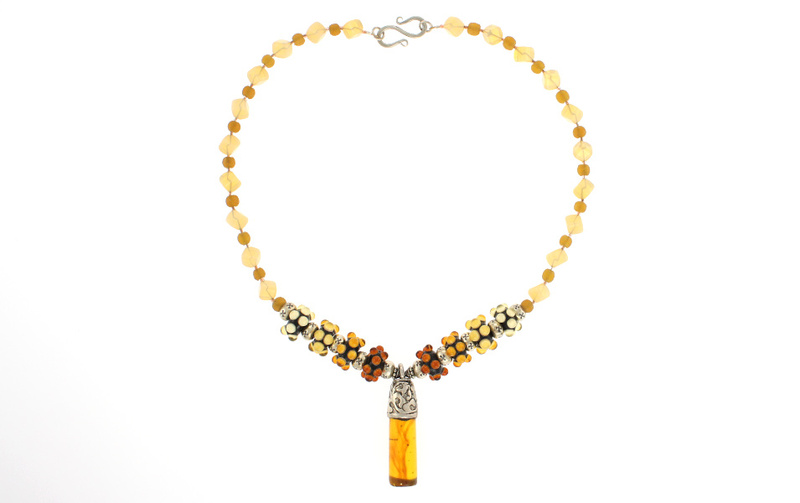 Ancient amber in pendant form has been capped in chased silver by Tibetan craftsmen. We have combined it with handmade lampwork glass beads and Thai silver to make this unique necklace one you will love this fall! Complementary cube and recycled glass with tiny seed beads and a handcrafted sterling “S” clasp finish it off! Length is 18 inches.